Medicare fraud is on the rise as is fraud related to any type of insurance company as the economy continues to struggle. 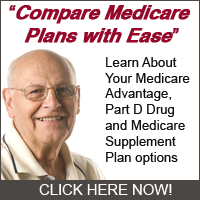 As a Medicare subscriber it is important that you are aware of the fraud that exists and be diligent to try to stop it. There is one particular type of fraud that occurred with Medicare this year that caused 111 people to be charged by the FBI. There was a total of $55 million in fraud in Miami, Florida from two doctors and eight nurses among a total of 32 people that falsely billed Medicare. In Detroit, 21 suspects, including three doctors and three physical therapists, allegedly submitted false claims for more than $23 million for nerve conduction tests, psychotherapy, physical therapy and podiatry. Be sure to check your bills when you receive them from Medicare to make sure you aren’t an unsuspecting victim of Medicare fraud.